To begin with, I really like your blog and very much enjoy reading your articles ever since I’ve stumbled across it around a month ago. I have first started training in WTF Taekwondo 8 months ago at the age of 36 (better late than never…). I fully acknowledge my ignorance on martial arts’ basic techniques and assorted power generation subjects but I do have an engineering background and would therefore like to make a few points on your article above. I first need to stress out though that I am only looking to open a discussion on an interesting subject with people who obviously love talking about martial arts – by no means do I wish to have the overall purpose of my comment misinterpreted…Anyway, below follows my personal view on Choi’s sine wave theory, did my best to explain as simple as I could for all your readers. 1.	u = velocity = a vector quantity which requires both magnitude (scalar absolute value for ex. 5 Km/h) and direction (for ex. moving towards direction x) in order to be fully described. 3. F (force applied) = m (mass of an object) x a (acceleration) = vector quantity. When a force is being applied to an object of a certain mass, the object accelerates towards the direction of applied force = object’s velocity is being constantly increased for as long as the force is being applied to its mass. If a mass moves at a constant velocity then the sum of all forces acting upon it is zero. Force causes acceleration, acceleration results to velocity increase = object’s speed keeps changing (increasing). 4. If velocity changes then a force is being applied. Being a vector quantity, velocity changes if either or both of its describing features are changing, that is magnitude and/or direction. Object moving at 50 Km/h on a circular path = velocity changes because despite magnitude being constant (50 Km/h), direction is changing = a force is being applied (centripetal in this case). Object moving at 50 Km /h on a straight line to the right = velocity doesn’t change as magnitude and direction remain the same = no force is being applied or the sum of all applied forces is zero. 5. F = m x a = m x du/dt which means that if a 5 Kg object is moving at 50 Km/h and its velocity drops to zero Km/h (= stops moving) within 5 sec then a force of 5 Kg x 50 Km/h / 3 s = 5 Kg x 14 m/s / 3 s ~ 23 Newton has being applied to the object. If it stopped moving with 2 sec instead of 5 sec, a larger force would have being applied to the object. 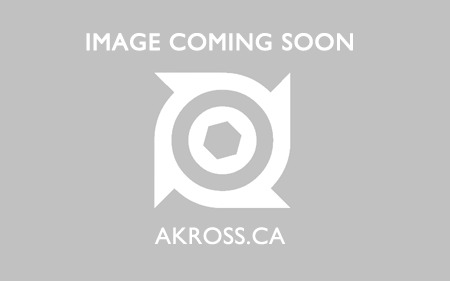 Here applies the action – reaction principle you mention on the article. 6. A human exerts a vertical to the floor force (gravity) of magnitude: mass of body times g where g = 10 m/s. A 80 Kg male exerts 80 Kg x 10 m/s = 800 Newton of force on the floor when standing still. 8. WTF Taekwondo style source of straight (horizontal) punch force = hip rotation = angular acceleration of hand which at its max velocity (end point of hip rotation) further accelerates (further hand’s velocity increase) through shoulder rotation peaking just before impact on target. Given a standard hand and torso mass, the higher the velocity before impact (impact = velocity turns zero in x seconds) the higher the applied force on the target = the more devastating effect (see number 5). Velocity and force vectors just before impact are parallel to the ground. 9. Choi’s ITF Taekwon-do style source of straight (horizontal) punch force = shoulder rotation derived velocity like number 8 but vector adding the velocity derived by the downward gravitational force acted upon on the whole body mass (not just the torso or arm) because of the sine wave motion. Now given a standard fighter’s mass (not just arm and some torso mass as it was the case with number 8) the higher the velocity before impact (impact = velocity turns zero in x seconds) the higher the applied force on the target = the more devastating effect (again see number 5). Velocity and sum of force vectors just before impact are NOT parallel to the ground. 10. Based on all previously mentioned, Choi’s sine wave INDEED OFFERS A MECHANICAL ADVANTAGE for delivering a more devastating strike compared to the standard techniques of other traditional martial arts. On the other hand the technique feels like its naturally lacking speed of application and is therefore not practical to use in a real fight according to my personal (and yes…freshman!!!) view. It looks like its better suited for board breaking demonstrations…Perhaps I am missing a point, I don’t know since I’ve never trained in ITF style or being tutored by an ITF martial artist….doing everything including patterns in sine wave feels very weird. 12. Manuel Adrogué is an ITF Taekwon-do master who has written a very interesting article on sine wave “ITF Taekwon-Do and Sine Wave as Sequential motion: More power than what meets the eye”. I don’t fully agree with his interpretation or mechanics explanations, but I think he too feels pretty much the same way about the sine wave, that is powerful & interesting but somewhat impractical. It is a very good read and I think that you will like it. Thank you for reading & once again, I really love your blog and would very much like to read more of your articles on subjects regarding basic techniques & applications as well as training tips. You need to explain everything in laymen’s terms without all the math. Just say what you mean in regular english because the average person is not a math wizz or engineering student. I think a tennis ball is also hit at an upward angle from a tenniss racket even if it is falling. Nobody hits one directly horizontal so obviously there will be some effect from it falling downward. But if the ball was literally falling 100% vertical and a giant wall pushed it the vertical falling motion would have 0 effect on it being more powerful or faster going in the direction the wall hit it. Also do you think because you press your foot on the floor hard it is the same as if you were a larger person throwing a punch and hitting harder? How so? teach Mr. Universe a perfect Taekwondo punch via WTF standard for poomsae and he will still hit harder than a 190 lb ITF sine wave expert who goes down then up and drops down before punching. It will not be equal. Also Master Dong Hee Lee is not a physics expert or engineering student like you so he thinks ITF sine wave is interesting. It doesn’t mean it is true. I post the opinions of anyone and don’t censor it even if it goes against my blogs held beliefs I stated on the about page. A person can believe in something wrong but still be a master martial artist. I have seen that video awhile ago where he experiments with it. From the look of it the sine wave did not increase any power or do anything significant. Also its not a real science experiment, the kid could stumble backwards just to please his instructor and not actually have been hit as hard. Who knows. Fight Quest and Human Weapon were cool shows. That hapkido technique is not the sine wave of Choi it looks way different. I dont know why the instructor says to do that, but Doug also says “its like boxing drop your hips into a punch.” The boxing technique he is describing is exactly how bruce lee was saying about power its not the sine wave at all. Its way different. My explanation was lengthy (use of regular English can be lengthy) to avoid equations and scientific notation that most people hate….I understand that lengthy is boring but hey…it’s not that simple…You obviously got turned off by the length, thought I was talking “rocket science fluff” and gave up the effort to comprehend – I admit it’s all my fault. No doubt I could have worded my explanation a whole lot better but I most definitely did not had it formatted for engineering dorks only. 1. Force acting on an object makes it travel faster and faster. Object’s speed continuously increases for as long as the force is being applied. 2. The higher the speed at which an object hits a target, the more devastating is the effect on the target. 3. More force acting for a longer period = even more speed = more devastating impact. 4. Speed is being described using vectors = arrows. Tip of arrow shows direction of motion and length shows magnitude. Lengthier arrow = higher speed. Arrow follows path of motion. Letter “U” symbolises speed. First guy travels in a straight line = moves only towards direction x, therefore arrow of speed in x direction only. Speed of punch arrow before impact is on x axis only. Second guy doing sine wave moves in x and y directions simultaneously which means there are speed arrows in both y & x directions. Speed of punch arrow before impact is on x + y axis now as in picture. As you can see from the picture above, ITF guy’s speed of punch arrow before impact is lengthier (despite pointing towards a different direction…vector calculous mathematics), therefore because of number 2 point above, he hits harder. 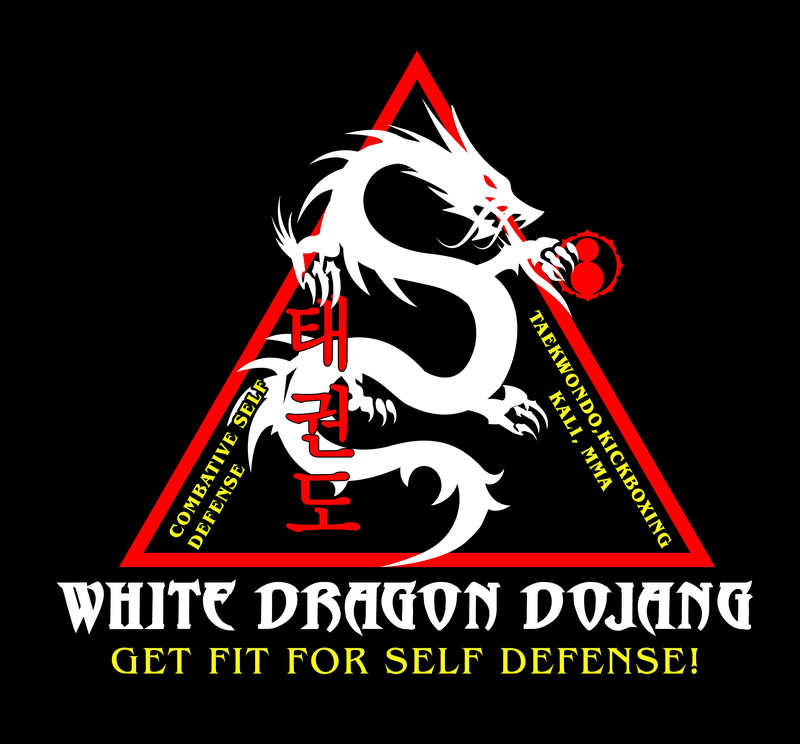 I never said that the Hapkido master asked Fight quest’s Doug to punch in a way that is actually Choi’s sine wave. The “drop your hips to the punch” technique is actually the final phase of an ITF sine wave. Sine wave is an exaggerated “drop the hips to the punch” technique in order to have the gravitational force acting on body for longer thus achieving higher speed on vertical y axis. The trade-off is that it takes longer to perform thus is not practical in a real fight situation (according to my opinion). This is why I think that Master Choi’s sine wave IS NOT AT ALL that unique or revolutionary or ingenious. NEVERTHELESS IT IS INTERESTING and CAN GENERATE MORE POWER = IT WORKS BACAUSE IT’S ALL A MATTER OF BIOMECHANICS or physics if you like it better. As for the “press your foot on the floor” method for generating punching power, I think it works only if it happens in a way resembling turning off a cigarette. This motion forces hips to move faster thus increasing the speed of punch along with shoulder rotation….but then again I have zero experience in boxing…I am open to opinions…. Hey man no need to get all offended because I do not want to read paragaphs of math equations or I do not understand high “sciency” math. All I di was suggest you explain it to the stupid people like me who are not engineering students so we can understand what you mean. No need to act like I am being a jerk when I wasn’t. But maybe you were not thinking I was a jerk and I am misinterpreting you. If so I apologize and there is no need to be mad at each other. We are probably going to disagree on this sine wave thing no matter what. Of course I am not mad and of course I don’t think you’re a jerk or whatever…if I did I wouldn’t be reading your blog or bother posting comments…. I agree. But doesn’t the force have to be in the direction of travel as newton’s law up above suggests? If you have a photo is it online? If it is uploaded to the web I am sure you can post the link anbd the image will show up. Isn’t that the point? Hitting the object in the direction you have to travel to get there? Point A to point B.
Ok, but the impact that is effected or matters is the direction of the target he needs to travel to get there. I still do not see how traveling downward, then up, and down again makes his punch harder. I am not convinced he is punching harder. I still am not convinced about pressing on the floor making your body mass seem bigger for a harder punch. Boxers or other styles might dig into the punch with hips and torque and possibly downward as well. but that is the fist digging into the other person’s body. Not some motion you do before the punch impacts. Its also usually impacted at a diagonal angle and not straight forward which occurs in sine wave motions of the ITF. Strength of muscles and fluid motions cause harder punch. If one person is stronger he will hit harder despite pressing into the floor. Its his muscles and strength and ability for speed that matter. The ITF sine wave punch is not faster. It might feel faster bc you snap the arm and do those motions. Also Choi strictly taight you do not twist your body and I have video that proves it. So any notion os hip twisting by ITF guys is not actually what Choi taught but something extra added. Also in the video in this article of that simon dude, he overly twists his hips as well. Anyone who has punched people or a heavy bag a lot knows you only should twist your hips a certain amount with the actual arm of the punch as it moves and not more. Extra motion wont effect the punch and slows it down. And I totally agree that it takes longer to do and is impractical. It takes longer to do because it is slower and also ineffective in real fighting. Why practice such a move as Choi’s sine wave if it is impractical to begin with and why even defend it? Well crap, for some reason up above I thought you said you were still studying. So I apologize for not recognizing your actual status. An I am very glad you are training in “WTF” Taekwondo, but I think you mean Kukkiwon or Kukki-Taekwondo which the WTF sport organization supports or acknowledges for olympic competitions. And in boxing you do not want to push against the floor to punch. You want to be light on your feet and bouncy. You want to be on your toes. 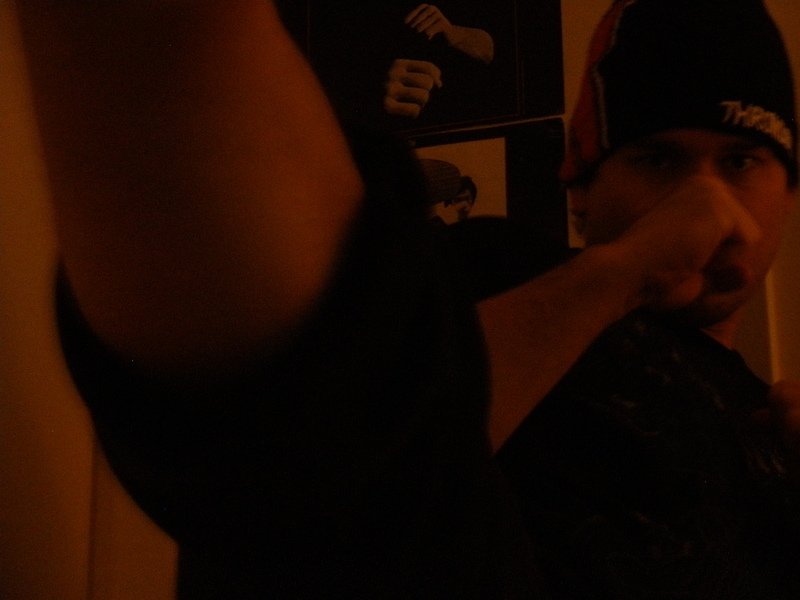 Also you will never do a sine wave style motion (even with hands up) unless you want to get knocked out really easy. All of the power comes from hip torque and rotation of the toe, leg, hip, and waist and also shoulder then arm. There is no down-up-down punching taught. Also speed comes from being on your toes and light on the feet. If you firmly root your foot into the floor you will punch slower and get knocked out. I have trained in boxing at a USA boxing certified gym under a level 3 coach. Also Grandmaster Hee Il Cho researched a study on the way to punch harder and faster and it said the boxing style punch was harder and faster than a traditional martial arts punch. He even mentions that the twisting motion of the arm has 0 effect on the power of the punch. I mention this in an article I wrote about TAekwondo punching. The citation is from his book Complete Black Belt Hyung WTF. Grandmaster Cho is in his own organization called action international martial arts association and he also practices the ITF tul on top of WTF forms, but he does them without sine wave and in his own style. Look him up. That should help explain more of what I was talking about in my previous post. U = speed, lengthier arrow = higher speed and because sine wave is motion in 2 dimensions x & y, there are 2 arrows which geometrically combined give a larger final arrow and therefore strength. It is actually a trick, not a well thought of technique, nevertheless it works in breaking boards more easily…. My TKD teacher says it’s too early to talk technical details of punching or kicking etc she just expects me to just “shut up, observe closely and try to do things the way she does the best I can” to use her own words…She thinks that first I should learn to silently observe and feel my body moving – save talking and details explanation for when I am a higher belt… I understand that I have a very long way to go. Not sure what the picture is supposed to be but it sent me to some weird website asking me to agree to terms so I clicked out of it. Anyway certain people learn differently. I think you instructor should also be able to teach technical reasons or ideas for things. But of course too much information to soon can ruin learning. Yes in any martial art you should just do what the instructor says and learn the proper way to do it without talking too much. If they are real teachers you can trust they know what they are doing. But the new student has no clue but be a little open minded about stuff before criticizing it. When i teach I try to explain briefly a reason for why, an say but we will get into it later for now just do this. Also boxing training really helped me a lot and I think Taekwondo should officially incorporate punches from sparring stances like that. 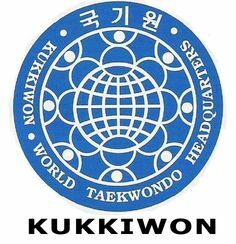 Kukkiwon is the world academy for Taekwondo, the headquarters for Taekwondo worldwide and is responsible for certification of true black belt rank. WTF is simply the World TAekwondo Feeration for sports as in any WTF competition that is poomsae or olympic sparring in various events. It is also the world federation of the IOC (International Olympic Committee). So WTF only affirms Kukkiwon black belt rank and you must be certified to be allowed to compete in their events. The KTA is the Korean Taekwondo Association which is the national member association for the WTF and historically the link of true Taekwondo in Korea that 100% embraced and developed into the Kukkiwon system of martial arts. Kukkiwon style is written as Kukki Taekwondo which is national Taekwondo. As in Korean national Taekwondo. Also as national sport Taekwondo, but it is the martial art system of self defense and researched and develops further applications of techniques. WTF has national member associations in every country practically. 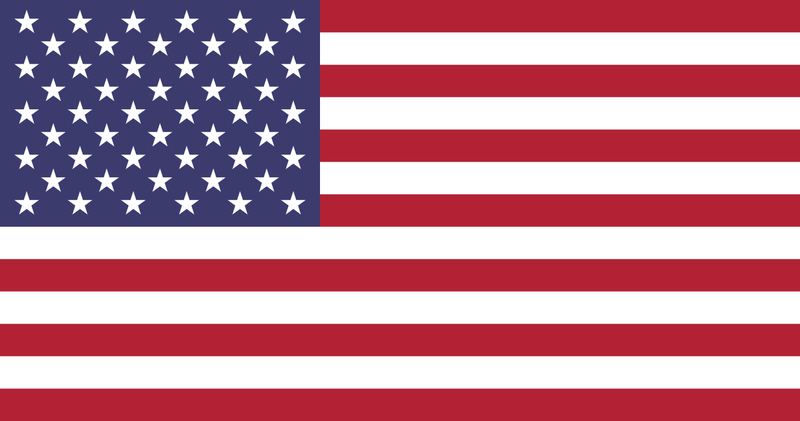 For the USA the national member of the WTF is the USAT (USA Taekwondo). It used to be the USTU (United States Taekwondo Union, but that turned into the USAT). Before it was the AAU that was supporting it but the AAU is its own thing now and accepts ranks for various organizations for their competitions. So various countries have whatever federation/assocaition/organization that is the WTF supporter and what qualifies a person in that country for the olympics. but the martial art fighting system for self defense is purely what the Kukkiwon is about even though the Kukkiwon only supports the WTF for sport, and not any other group. The ITF is an offshoot from General Choi who was asked to leave the KTA in the 60’s, who was disgruntled and wanted his own control of Taekwondo and he created his own system which is not affiliated to the WTF or Kukkiwon and is an offshoot from the KTA and went its own way. So it is not in the direct linage of Taekwondo, but an offshoot. Taekwondo was always a unanimously voted on and agreed upon style from various schools of martial arts in Korea an was never a 1 man show. KTA unified TKD an when the rest of the masters of martial arts all decided to do something Choi didnt like he left. The KTA was glad to see him go and in fact were going to kick him out if he didnt leave and decided to fully support the Kukkiwon as the KTA developed. Every single kwan 100% supported and was absorbed by the Kukkiwon. Anyone who did not want to support this direction left, and only a few left, and most who left did not even call their style Taekwondo but kept the name Tang Soo Do or whatever style. But officially the kwans voted on an came to a consensus that Kukkiwo was it and thats the truth. That is why in Korea they practice Kukkiwon and support the WTF. This is Korea’s true cultural martial art. the ITF is basically full of foreigners more than any koreans now days. 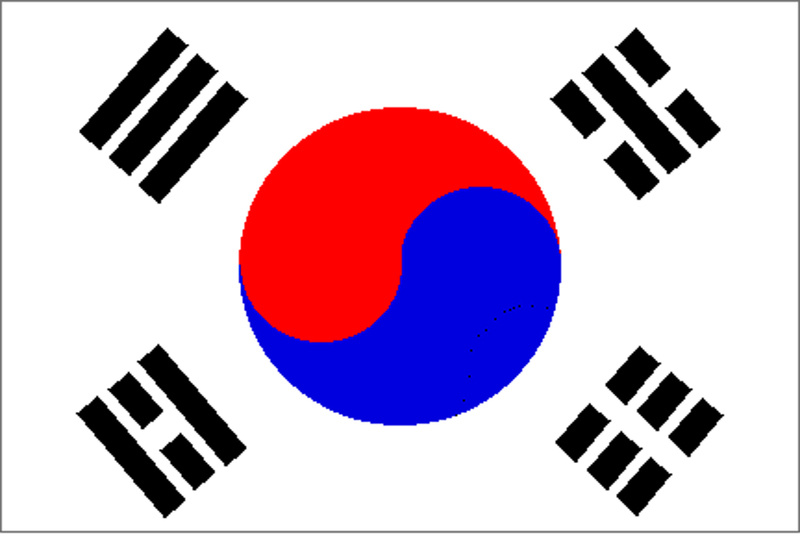 ITF gyms are not recognized as official TKD in Korea. Here is an interesting thread talking about the sine wave. Checking Grandmaster Cho on the fly, looking very interesting, thanks, I will definetely look into it a lot more. I think one thing about sine wave is the impact of your feet pushing into the floor give a false sense of a harder impact. Try doing the punch with the sine wave and feel that both feet with the arm shooting out feels like a full body shock, but its not your forward power but the feet that make you feel like you are hitting harder. Try punching just going forward with a hip twist and shoulder and its less of a full body shock but the power is actually better and faster and makes more sense of natural body movement. Poomsae or basic techniques should be done in natural ways of moving. I assumed the power would be diagonal which is not what the ITF sine wave is claiming. They claim forward power into the target is harder bc of the sine wave. But the only affected power would be in another direction, diagonal, not horizontal. So that does not describe what Choi was teaching. Also it would cause the fist to slide off target. I don’t know how ITF people & Choi think that sine wave works, but it most certainly works in a slightly diagonal and not horizontal direction – just as I explained above. This is why in Dong-Hee Lee’s video the student falls down to the floor sooner when one-step-Sine wave punched (diagonal direction driving him to the floor). When otherwise one-step punched, he travels a longer distance just misstepping (horizontal direction driving him backwards eventually losing balance). Again direction doesn’t matter, only point of impact where punching force is to be exerted and the power is there. I don’t think you’re to receive a ton of hate for your video hahahahahaha…. It is about elbow positioning when punching to sustain power on impact….What’s your opinion on this? In the sine wave the fist does not impact diagonal, it is still horizontal. When the fist hits a target going in that direction but a fast downward force on the arm occurs the fist could slide down the target and not push forward. Or create inaccurate targeting. Now if the goal was to hit digonally downward into a target the punch should be thrown a lot different than a bounce. Boxes do this and so does other martial arts including Kukki Taekwondo. Of course if a horizontal object gets a fast downward jerk or pull it will impact both straight forward horizontally and diagonally downward, but I do not believe there is extra power. I also think Dong Hee Lee’s video is not enough evience to suggest sine wave is real and I think his student is just falling subconsciously yet willingly more on that strike than the regular. Also a sine wave tends to make people exaggerate a punch motion and step farther. What they need to do is step exactly the same distance into a punch to prove it. I will check that link in a bit and see what I think. I have not read A Killing Art yet bc I dont want to spend money on the book it is way overpriced. I will wait until i can get it for about 3 bucks. That was an interesting Karate punching article. I would say if the person’s elbow is awkwardly sticking out they had a terrible teacher. I usually correct chicken winging. But sometimes such a punch with elbow on the side is fine to do for a certain situation. I wouldnt say you HAVE TO ONLY punch with a vertical elbow (which in reality is not going to be vertical, but more diagonally between sideways and down). Also I am sure some people could make your elbow bend downwards if they grabbed you like that guy and pulled you in even so. The only advantage you have is your body weights leverage to give me strength to your elbow to keep it from bending. Also with upper torso punching from the shoulder like a boxer you dont need a “vertical elbow” to be effective and the punching can be so fast it is very unlikely anyone can attack your joint from the side. In some ways the focus on turning the elbow down takes away the speed and power the hip rotation generates and seems counter productive. This guy seems to want to only punch straight forward facing his attacker and not really use much shoulder or hip torque. I would say being away of his punching method is important to consider and using it to your benefit in certain circumstances would be the best. But I dont think its the ONLY way you should punch to be powerful. I think even with the elbow to the side with how you turn your body into the punch might be harder and faster than his method, depending on where the attacker is standing an what target you want to hit. Also be careful not to damage your shoulder joints with excessive jolting the elbow downward because it can twist your shoulder. I think his technique makes sense and is a positive thing to consider but do not limit yourself to only punching that way. But always make sure you are not chicken winging. Taekwondo does not chicken wing unless you graduated at the American Taekwondo Academy who doesnt give a crap how you punch as long as you pay for their belt tests. Also boxing you DO NOT chicken wing either, but you most likely will have your elbow pointed to the side a little bit on impact. The twisting he is talking about would not be good for boxing. In fighting I say be relaxed an allow your body to position itself as you punch. His style of punching does not allow for a really relaxed arm. As I already mentioned I am new to TKD and only just started developing my punching technique. Even though I am being trained to punch TKD style (chambering arm and twisting fist horizontally just before impact as in your video), Wing Chun style of punching (twisting fist vertically or at least slightly canted to the inside) feels easier and more natural to me. I feel that this way I can punch harder as well as delivering more blows a lot faster. I noticed that when imitating Wing Chun style of punching, my elbows are effortlessly being positioned just like the article suggests. That’s why I asked your opinion on this. So the next question is, what do you think about Wing Chun style of punching? I should note though that I am fully focused on training to develop the habit of punching Kukki TKD style just like my instructor teaches but I am still very curious…. I think Wing Chung is an interesting martial art. I think it has its uses but I would never in a million years rely solely on its techniques. I think the people who strictly conform to its way of standing and movement are not taking into account reality. I think Wing CHung works in self defense from guys grabbing or a first swing or whatever, but to stay in posture is crazy. You will get knocked out. I think WC is worth dabbling in if you know someone. I think it is useful as an add on to your main martial art. Maybe using a technique here an there from WC could be handy. Bruce Lee’s JKD which is not interested in styles uses WC techniques in various ways, but JKD does not stand WC style. I think Ip Man created it in a time when all he had to fight against was other Kung Fu people who punched certain ways. Boxing will emolish most WC people, but it was said some WC master did defeat many boxers using WC techniques, but who knows. The way they punch is effective for their position and angles. They seem to go for the center line and stand more square. You will not see them palm push block and straight punch into the ribs really, and you won’t see them do a boxer’s hook punch either. but they punch upward into the chin and face a lot and straight into the body so I think their vertical fist works for that. But I don’t believe somehow their punches are more powerful than Taekwondo. I also think the Karate guy from the article is talking into account reasons for things or has done much sparring. An overemphasis on his elbow pointing down can jack your shoulder up and is slow and the squeeze of the arm and shoulder to position the fist and arm in that position slows you down. It is counter productive. I agree, but they want to pretend they are true korean TKD but they are not. Also many ITF people who are indoctrinated are totally communist sympathizers and want to give North Korea the benefit of the doubt and it pisses me off an I find it unamerican and idiotic. I hate how they do these unifity love fests where they allow some stupid ITF group from north korea to do a demo at a WTF tournament. It is annoying how PC the WTF is turning out to be. In the past they tried to unify the ITF and WTF but it didnt work people argued too much and they separated again. This was very early on. I think people just need to let ITF die out and forget about it and keep ignoring them. I also think their uniforms are ugly as hell and look incredibly stupid. Some are like bell bottoms. Its more proof showing ITF will not progress and wants to stay old fashioned. Also ITF has a form called Juche which is Kim Il Sung’s communist philosophy which is the propaganda that enslaves and oppresses and kills so many north koreans today as it has since north korea began. Any person who would think this is a good idea is evil. I think Choi went crazy to do such a thing. Later they either took it out or re-named it. One magazine I really hate is Taekwondo TImes it is one of the most idiotic magazines on martial arts I have ever seen. It is full of mcdojang bullcrap as well as ITF love, but it also covers kukkiwon style and WTF stuff. But they are such north korean sympathizers. Bunch of idiots with craptastic taekwondo stories and reports. They always have articles with the ATA (worst mcdojang organization in the world) an other groups. Well, ITF was born in the south but moved to North due to too much polibitching. The problem is most of the ITF dislike the WTF not because we believe we are superior, it’s because they believe WTF have allowed the Olympics to ruin the Taekwondo’s image. This has not only just affected Kukkiwon style image but also the Chang hon ITF image who have nothing to do with the olympics. The online bickering saddens me because it won’t solve anything but cause a bigger rift between the two federations when we should be working together. I too feel that the Olympics did more harm than good to TKD, especially considering its current state. Same thing is about to happen to Karate as well – it would be very much interesting to see how they will try to balance sport and martial aspects in the long term. I see no harm in the existence of various versions/ interpretations of TKD, Chang hon ITF, Kukki or whatever… In fact I think its much more interesting this way, each organisation working on its own. Despite all good and bad things about him, General Choi definitely was a great man and as it is the case with all great men that make a difference in this world, it’s pointless to judge with a “black or white” mindset. Awesome! Glad you see the light! Sinewave allows body weight to be put into a strike. You have the horizontal force of the strike plus the diagonal force coming from the body dropping with the sinewave. The difference that drop makes when breaking is significant. As for the North Korean association, Gen. Choi, while serving in the South Korean Army, was born in what became North Korea and he is buried in Pyonyang. While not a communist, he was a patriotic man who wanted his northern homeland and the south to reconcile. Juche is not communism by the way, it’s Korean nationalism which would be why Choi swapped out the pattern named for the guy killed by the communists for this one – it is a better pattern though I agree the reasoning is not good and is why the name in some clubs has been changed to the name of the dropped pattern. North Korean communism is similar to national socialism with its ultra nationalist philosophy. As you’re probably aware, the ITF that includes the clubs in North Korea is not the only ITF. There is a large ITF organisation that refused to recognised Choi’s self-appointed successor, preferring to go with the ITF board’s elected choice. There is a smaller ITF that follows Choi’s son. This three way split being the result of Choi’s death. There is also the GTF who broke off in the 1990s. Suggesting that ITF has some tie-in with North Korea is therefore wrong. Only one group can be influenced by the communists. Juche is actually North Korean Commnism. To try and ignore this and say it is some “Korean” philsophy is ignorant and flat out rong. South Koreans do not adhere to Juche. It is a Kim Il Sung created philosophy based on marxism which is communist. It is not nationalist socialism in the slightest, but different. It has resulted in the deaths of countless North Koreans over the decades and ITF embraces it. You canno deny the fact your founder and man you follow sympathized with NOrth Korea and even embraced the communist ideology as a positive (even if he may not have was a communist himself he had sympathies and thus given high honor by North Korea’s dictator). ALs sine wave has zero benefit and is a pointless movement. The fact there is a 4 way split is a reason you should join a more stable organization. I’ve taken several martial arts in my day. Of those, Taekwondo is included. The sine-wave principle has proven to be effective in every martial art i’ve taken, and your heavily opinionated response on the subject is hardly the truth. The closer to the ground you are, the more powerful you become. You’re essentially pulling power from the earth and her gravitation pull. For instrance, in grappling martial arts such as Sambo, when you find yourself choking someone upright as opposed to on the ground, it’s more of a struggle. Also, your “evidence” using Newton’s laws of motion hardly backed your claim. To put what I’m saying into your words: This article is complete madness! I train at a WTF school that teaches ITF forms (no sine wave). Explain that one. I did that before too. No need to explain it. People generally learn martial arts to gain the ability to defend themselves in a real fight. That’s why I did it for nearly a decade. What comes out instinctively in sparring (the closest artificial approximation to a fight) is what is learned in the rest of the class. Sine wave nonsense would never be practical in a real fight because you don’t want to be bouncing up and down every single time you throw a strike and telegraphing your every intention to your opponent. I spent several years in both ITF and WTF styles, and what I noticed in the ITF school is that everyone incorporated the sine wave in practice and patterns, but as soon as sparring began, all that trash went straight out the window. I would absolutely love to spar against someone who was intent on using huge sine wave movements. All you have to do is look for that initial bounce and quickly jab them in the face before they can even get a strike thrown. Thank you for this analysis. I totally agree with your assesment. I studied tkd in the jhoon rhee system and we never did all this bobbing up and down. I would rather watch a wtf student do taegeuk forms than a itf student do chang hon with sine wave. John chang makes chang hon forms look amazing. Sine wave looks rediculous. Can you tell me which organizations presently do chang hon forms without sine wave? Jack Dempsey used Sine Wave movements in his boxing. He talks about the whole thing in his book about how to box. The Dempsey Roll was literally the culmination of all of his theories and was successfully used in matches. Dempsey was a fighting genius. So I will trust actual results over an armchair warrior’s opinion any day. Sorry.